Because of business purpose, I need to go back to Tokyo office every 3-5 months. 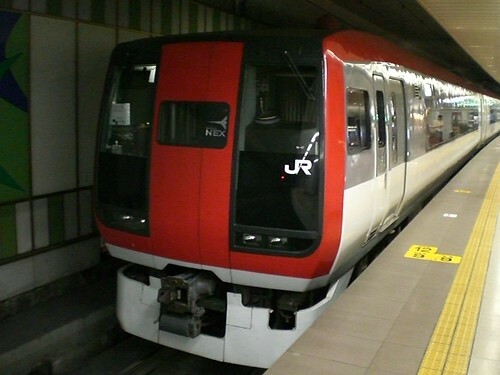 Narita Express became my favorite transportation system because of no concern about traffic jam. 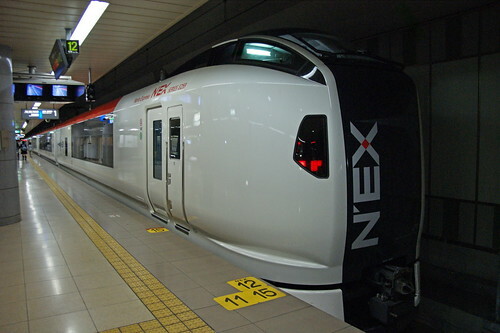 For trip to Japan this time, I found Narita Express changed the car model; from series 253 to series E259; the debute date was Oct. 1, 2009. I was pretty exciting to take the new train. The new train looks trendy and slick. The interior design is nicer with more comfortable seats. I am sure all pessenger will appreciate the better service quality provided by E259. Also, I think the debut of this new train will attract many train maniacs to chase after it.